"When I saw Holly Taylor’s “Winter Forest Flannel” fabric collection, I knew my grandsons would love to snuggle up in this luxurious warm soft cozy flannel by Moda. Holly included a panel in the theme of winter scenes with big brown bears and deer roaming in the forest filled with trees, pine cones and berries which instantly caught my eye. 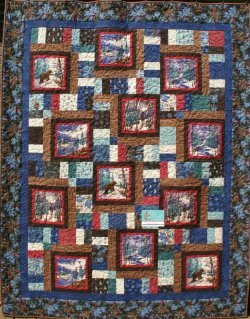 I designed a quilt to accent Holly’s beautiful winter scenes. 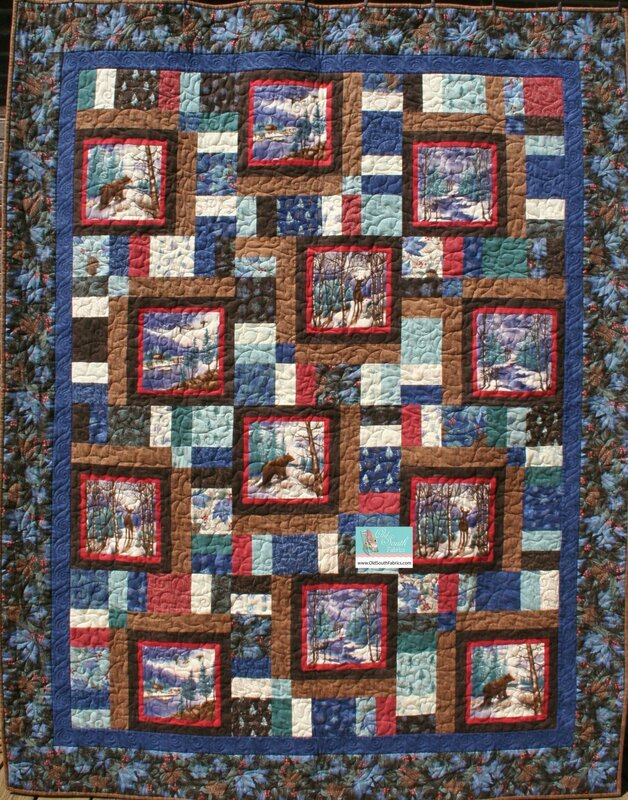 Using “Winter Forest” Charm Squares makes this a stress free fun quilt you are sure to enjoy."